Let’s talk about cauliflower! What an incredible substitute for potatoes. For me personally, I need all the cruciferous vegetables and cauliflower is packed with fiber and helps the body eliminate fake estrogens. 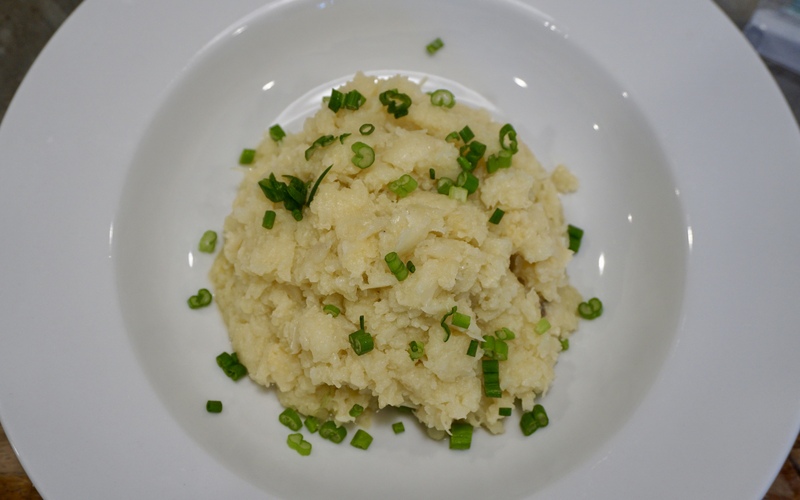 I love using cauliflower as a side option and it gives me more bang for my buck nutritionally. Enjoy this simple and filling recipe. It would be perfect alongside my turkey meatloaf or a leg of lamb for Easter dinner. Yummmm. 1. 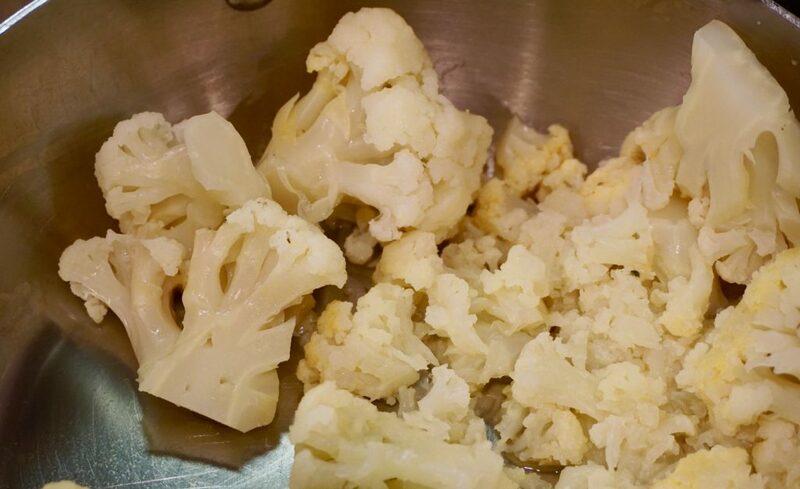 Chop a head of cauliflower and put in a medium saucepan with ¼ cup of stock. 2. Steam, adding additional stock if needed. 3. 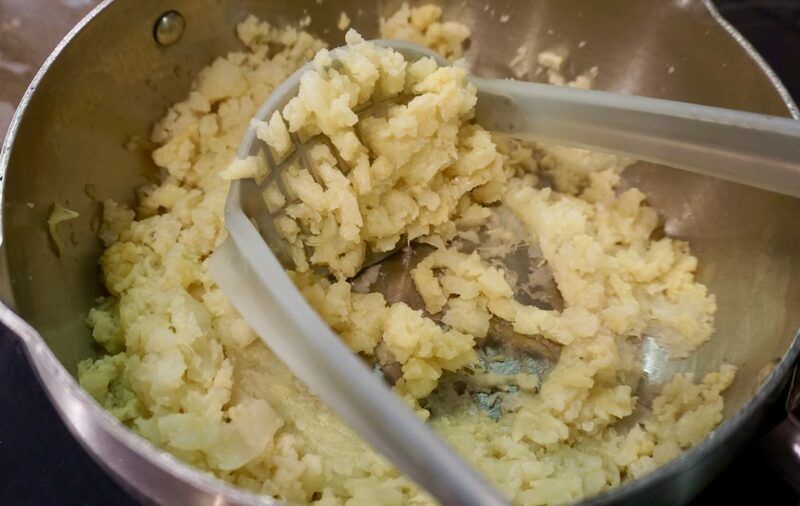 When Cauliflower is soft, using a potato masher or large fork, mash in a saucepan adding ghee, salt & pepper. 4. Transfer mixture to a bowl. Stir in green onion and serve.